Mayor Piper presented a financial report showing income and expenses for the period ending October 31, 2013. He noted that the City has begun to receive ad valorem tax revenue as a result of miscellaneous property tax payments to the County. The general fund ending balance was $2,900. 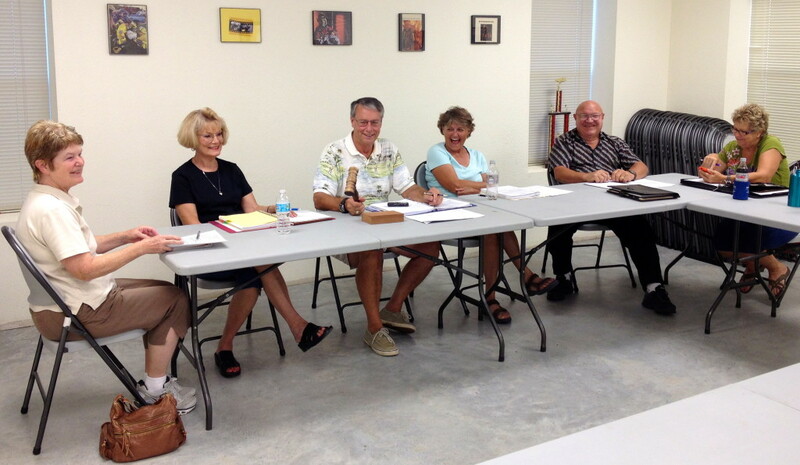 The Council discussed road maintenance issues. The Mayor said that he had visited recently with the County Judge. According to the Mayor, Judge Gattis is seeking a legal opinion regarding whether or not the County can take on the maintenance of Coupland roads until the City has sufficient funds to take on that responsibility. The Mayor said he would follow up if there is no response from the County after a reasonable period. The Council passed an ordinance canvassing the returns and declaring the results of the election on November 5. The two sales tax issues on the ballot were passed by Coupland voters. The ordinance will be sent to the State Comptroller’s office and they will eventually adjust the collection of the sales tax within Coupland to increase it by 1.25 percent. There was a discussion of an application for a new subdivision in Coupland. The County forwarded an application from Howard Prinz, who is subdividing his acreage along Highway 95. Approximately 7 acres of land will be platted as “Prinz Estates.” Patrick Hughes of the County Engineer’s Office says it conforms to the County’s requirements for a preliminary plat. Because the City is not yet set up to process subdivision applications, the Mayor proposed a resolution authorizing the County to process this application. He noted that the City’s new subdivision ordinance would still be applicable. Barbara Piper made a motion to adopt the resolution, which was seconded and unanimously approved by the Aldermen. There was a discussion regarding the establishment of an inter-local agreement with Williamson County for the review of subdivision applications within Coupland’s Extra-Territorial Jurisdiction (ETJ). Mayor Piper reported that Patrick Hughes told him he would be willing to attend a future council meeting to explain the issues involved. The Council acknowledged local events. Ms. Piper mentioned the beginning of the renovation of the historic caboose by the Coupland Civic Organization, of which she is the president. No citizens signed up to speak to the Council but the Mayor addressed a few questions to Tim & Barbara Worthy, owners of the Coupland Inn and Dancehall, regarding the sales tax implementation process. Mr. Worthy mentioned that the alcohol tax will be going up to 15 percent in January. He added that most of their customers are from Austin so the increase in the sales and liquor taxes will be paid primarily by non-residents. Mayor Piper said that he had been told by someone with the County that Coupland would be getting a portion of that increase. He noted that liquor tax payments come in to the City on a quarterly basis. The next regular meeting of the City Council will be on December 12. This entry was posted in Local Government, What's New? and tagged city council meeting, City of Coupland Texas on November 14, 2013 by Stewart Dale Spencer. I corrected the name of the County Judge to Gattis. Ron Morrison is the Commissioner for Precinct 4. Just a little brain hiccup. Thanks Max!